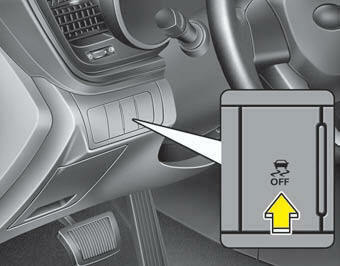 When the ignition switch is turned ON, the indicator light illuminates, then goes off if ESC system is operating normally. The ESC indicator light blinks whenever ESC is operating. ESC OFF indicator light comes on when either the ESC is turned off with the button, or ESC fails to operate when turned on. Turning the ESC off does not affect the ABS or brake system operation.